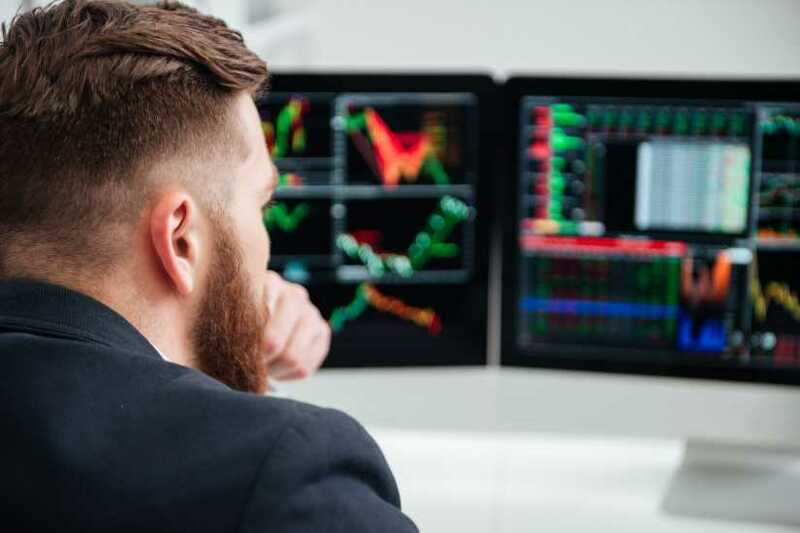 Since global volatility spiked in the last quarter of 2018, markets have been on high alert and twitch uneasily when any negativity rears its head. Indeed, geopolitical instability looks set to continue and the outlook for growth is dwindling. As such, we’ve seen a number of investors looking to position the core allocation of their portfolios more defensively. To that end, this article aims to illustrate how certain ETFs can help investors with their defensive allocations by looking at three different approaches. The expression “volatility” often conjures up feelings of negativity with investors. First though, what is volatility? Volatility is a mathematical measure of the amount of movement the price of a stock or index experiences over a period of time. Therefore, a company whose stock price moves up or down by 1% everyday will be less volatile than a company that has 5% daily moves. Clearly, if the volatility is positive this is good for investors. This explains why many investors with a higher risk appetite invest in technology stocks, for example. The tech sector has historically exhibited higher volatility than many other sectors, but over the past five years this has generally been more positive than negative. However, many now believe that the growth stage of the “equity cycle” (the cycle where gains in equities are easily made as the economic environment provides a positive tail wind) is coming to an end. For this reason, they are looking to move into “lower volatility” companies that exhibit more stable characteristics and, ultimately, are less impacted by sell-offs. There are several ETFs in Australia that do a lot of the heavy lifting for investors on this. One example from ETF Securities is the ETFS S&P 500 High Yield Low Volatility ETF (Ticker – ZYUS). Very simply, this fund selects 75 of the highest yielding companies in America and then further refines this by eliminating the 25 most volatile of these. The end result? A product that, historically, does very well in environments where growth is reducing or negative. Below you can see that by its outperformance over the iShares Core S&P 500 ETF over the past six and 12 months, when volatility in the benchmark fund was at its highest. ZYUS is currently most overweight to real estate and utilities sectors along with smaller over-allocations to consumer staples, energy and telecoms. Information technology, health care and financials are the biggest under-weights. Overall, relative to the S&P 500, ZYUS is 34% overweight to the traditional defensive sectors, despite being 10% underweight to health care, which is no longer considered to be as defensive as it once was. A second method of achieving a more defensive portfolio is to target traditionally defensive sectors. As displayed on the diagram above, infrastructure is traditionally the most defensive of equity sectors. This makes sense as the types of companies that are included in this sector include airports, toll roads, railways and telecommunications infrastructure. These types of companies normally have monopolistic fee structures and have very high barriers to entry with predictable revenue streams. This means that they aren’t expected to rise as much in good times but are less likely to be materially impacted in the bad times. The ETFS Global Core Infrastructure ETF (Ticker: CORE) is a good example. This fund focuses on the 75 least volatile companies within the developed world “core” infrastructure universe. Most interestingly is, this fund illustrates that you can be defensive in your portfolio without necessarily sacrificing returns, as the table below shows. Finally, investors can use “alternatives”. This is the big buzz word right now and is a broad umbrella definition to cover funds that are attempting to do something with a “low correlation” to what we consider to be “normal” shares and bonds. To clarify, “low correlation” means that the fund’s performance should exhibit a pattern that has little, or no relationship or even an inverse relationship with the rest of the portfolio and, therefore, is intended to neutralise any negative outcomes. There are many alternative assets available to investors. Many of them are quite advanced technically and, ultimately, require significant faith from the investor in the skills of the manager. However, our belief is that one of the best, and certainly the oldest and most tried and tested, alternative asset is gold. There are two simple reason why gold is a good alternative. The most important is that it generally works. When you look at the table below you can see the response of gold and global share markets to a selection of major financial and political events. Most resulted in a negative response from equity markets, but gold nearly always responded well. It is a considered safe-haven and, as our chairman Graham Tuckwell (the founder of ETF Securities) says “you put gold in your portfolio and hope like hell it’s the worst performer in your portfolio, as that means everything else is probably going well”. ETF Securities has the biggest gold fund in Australia with the ticker code GOLD. The gold is physically stored in HSBC’s vault in London and, as an investor, it is possible to take physical delivery of your gold. It’s considered by many to be the best way to own gold if you’re not a big institution with access to your own vault, which most of us don’t have! Investors with concerns about volatility should consider exchange traded funds as a potential strategy to mitigate risks and provide downside protection. The nature of these financial instruments allows the selection of a product most appropriate for current market conditions, with a high degree of transparency not found in active funds. By implementing strategies that seek low volatility, defensive sectors and diversification it is possible to approach today’s changeable market conditions in a strategic and defensive way.